Have you ever experienced the “Week from Hades”? I’m sure you have, because let’s face it – we’re all human. At the conclusion of that week did you go home with your head hanging low and just sulk, or did you try and brush it off? I hope it was the latter because that’s the key to picking yourself up – have a little fun, try something new to brighten your day! Well last week was my “Week from Hades” and before I allowed a cloud of blue to engulf me I sent a text and invited a friend to meet me for Happy Hour. Not only was it an opportunity for me to lift my spirits by catching up with a friend, but we also tried out a new neighborhood Cafe’ and were treated to the sounds of the Judy Strauss Trio. 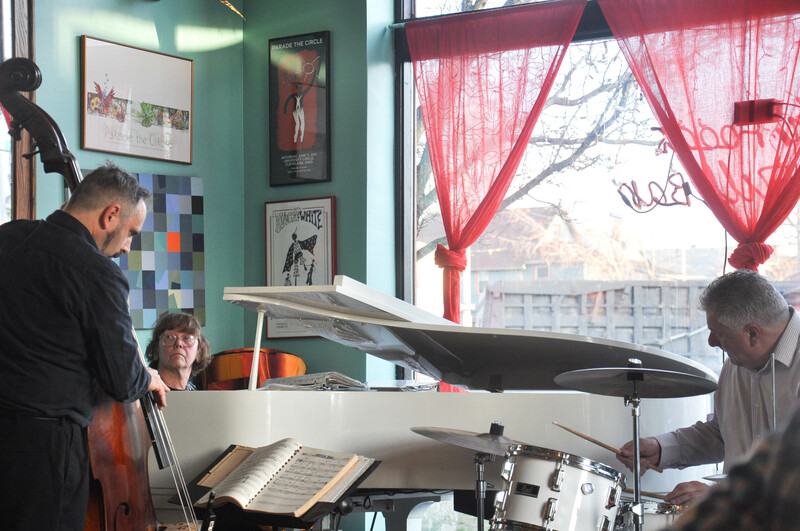 The Judy Strauss Trio plays at the Callaloo Cafe’. These photos are a highlight of our evening at Callaloo Cafe’ & Bar the newest edition to the Waterloo Arts District in Collinwood. The Cafe’ is next door to the Arts Collinwood Gallery, which celebrated the opening of Das Wird Sich Alles Finden [everything will turn out alright] an exhibition of international artists. A full house at the Callaloo Cafe’. 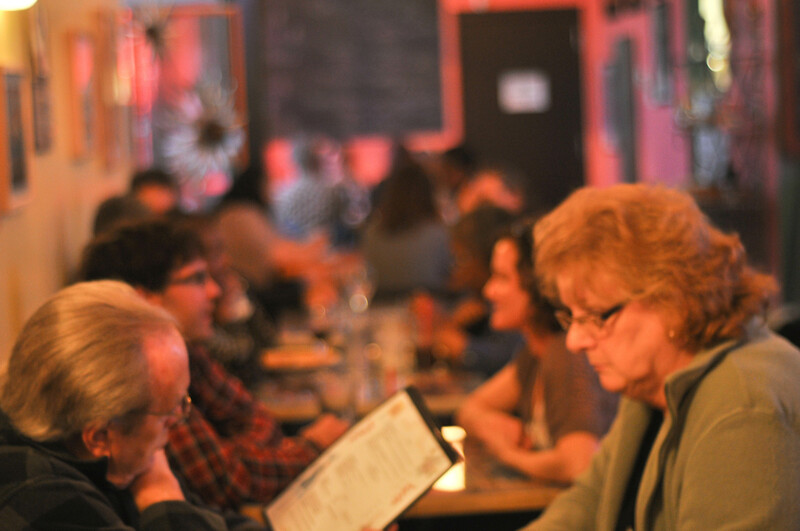 The Cafe’ was full on Friday with a diverse crowd from both the neighborhood and other areas of Cleveland. The Trio played several sets of traditional jazz offering a very artsy vibe. The Callaloo Cafe’ features Caribbean cuisine like crispy burritos, stewed chicken, roti and bus up shut. Vegan friendly. They are open Tuesday 11 a.m. – 9 p.m., Wednesday-Thursday 11 a.m. – 10 p.m., Friday – Saturday 11 a.m. – 11:59 p.m. and Sunday 11 a.m. – 3 p.m. So if you’re looking for a new venue, come and check out the great things going on in the North Collinwood community.